If you experience problems with our site, please let us know, by sending an email to support@parkerfamilylaw.com.au. Thank you! An Accredited Family Law Specialist is a solicitor who, in addition to having extensive professional experience, has completed an advanced study program in family law and been accredited by the Queensland Law Society. To become an Accredited Specialist, a solicitor must undertake advanced study and pass written and practical examinations in the specialist area. The solicitor must have been practising full time for at least five years and more than 25% of their work has to have been in that field of law. To retain specialist accreditation, the solicitor must continue to complete a minimum amount of training each year. Solicitors do not have to be Accredited Specialists to work in the area of family law, but accreditation demonstrates a high level of expertise and commitment in this area. Our Accredited Family Law Specialists are Joseph Parker and Bruce Scott. Let our small yet dedicated team of family law experts and experienced support staff focus on providing you with practical solutions at an affordable price. We will use our extensive experience and expertise to get you the best results. We welcome your phone call or e-mail enquiry. 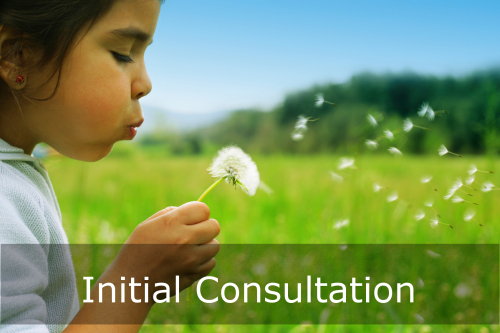 You have taken the first step forward; let us guide you with our specialised advice and expertise. Call us now on (07) 3283 3377. Liability limited by a scheme approved under Professional Standards Legislation | This website is for information purposes only and is not a substitute for legal advice. © 2018 Family Law Pty Ltd ACN 144 486 368 trading as Parker Family Law. All Rights Reserved. We provide advice and representation in all areas of family law including separation, divorce, children and property issues.